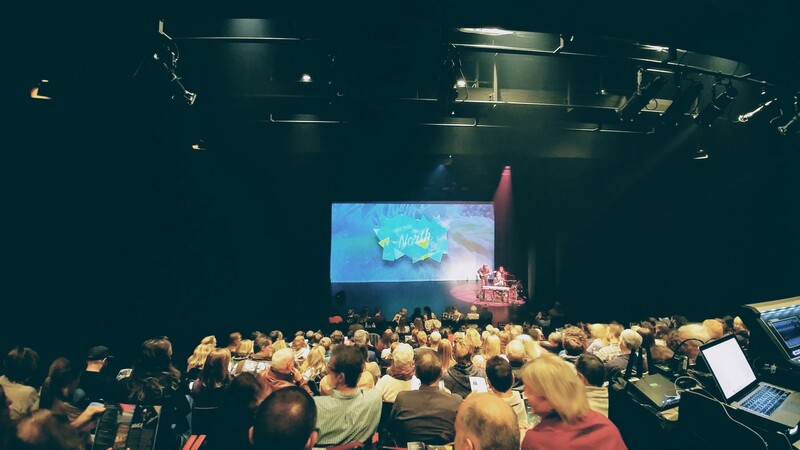 Pop Drone provided marketing and publicity services for the Ottawa leg of From The North, a northern arts show which in 2017 brought together musicians, artists, storytellers, dancers and Dene and Inuit athletes on a tour of the northern capital cities—Whitehorse, Yellowknife and Iqaluit—followed by dates in Ottawa, Montréal and Vancouver. Showcasing performers from all three territories, From The North weaved together stories, music and dance from some of the North’s most talented artists: IVA, Riit, Quantum Tangle, NÀHGA, Sophie Villeneuve, Borealis Soul, Dakhká Khwáan Dancers and DASH. Featuring throat singing, hip hop dancing, and singing and storytelling in French, English and Inuktitut, these artists shared their stories of the North, how they see the world, and who they are as Northerners. Tickets for a gala performance at La Nouvelle Scène Gilles Desjardins sold out in advance, plus artists, athletes and performers shared their talents in an interactive family-friendly festival at the Canadian Museum of Nature.